I am glad you could stop by. New things are here. I have consolidated three blogs into one. 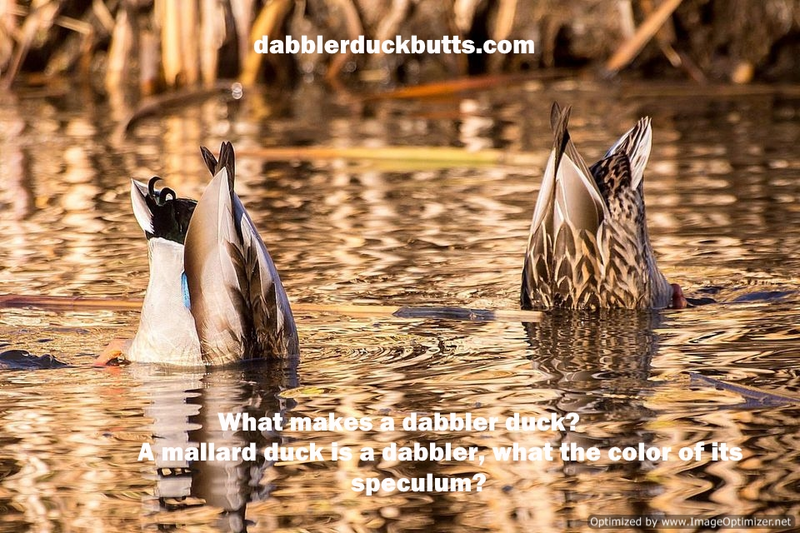 Dabbleduckbutts.com now also has the posts from newboldessential.com and lodestarandyou.com. In May of 2018, deepeducationweb.com will also reside in dabblerduckbutts.com. Of course, I still have my Blogger blogs: Minecrjm.blogspot.com and MNNoreaster.com. I was projecting the costs of maintaining four blogs and it was getting to be a lot more expensive than what a retired old fart had to spend. In addition, it was beginning to look like I didn’t pay attention to these sites other than deepeducationweb.com. I had already started to use bulleted points for some items to speed reading and posting. Since I am keeping all posts in one blog, I can enter a bullet point into a post and then finish the full point in a later article. Hopefully, major events will be posted closer to real time to it doesn’t appear that I am ignoring them. So we begin the new and mighty dabblerduckbutts.com. There is so much divisiveness afoot in today’s United States it almost seems as if ‘United’ doesn’t belong anymore. I think one thing that keeps the division roiled are the labels. People see “Republican” and assume somethings. People see “Democrat” and assume some things. I want to focus on what is changing, for good or ill, and not be hampered by stupid labels. People need to get beyond ‘Republican’ and beyond ‘Democrat’ to see what is really taking place. So I am dispensing with those labels and I am going to use Party ‘X’ and Party ‘O’. I will change labels so one week Party X will mean something and the next it will mean something else or maybe even within the same post. You can try to make your determinations on what is what and who is who. I am not going to try to stop you. Actually, I think it could be a good exercise to understand what is going on beneath the labels. Let’s see if it will work. I believe that the policy of denigrating and ostracising immigrants is deplorable. This country was founded by immigrants. That is easy to say and is a bit of a cop-out. That was a few centuries ago right? Google was founded by Sergey Brin. His family immigrated from Russia when he was about 6 years old. eBay was founded by Pierre Omidyar. He was born in Paris to Iranian parents. Apple was founded by Steve Jobs. He was adopted by American parents and his biological father was a Syrian-born immigrant. America was founded by immigrants and needs immigrants to keep fostering new growth and new thinking. Why? I did an article on the manufacturing jobs in Wisconsin and Pennsylvania. It was focused on those two states to show what is happening in America and I used examples from those states. One father didn’t want his son to work as hard as he had so he dissuaded him from going into manufacturing. Another was a mother who encouraged her daughter to look to a career in an office environment rather than work split shifts and wear steel-toed shoes as she had. Trump kicked out the immigrants. The result? Crops don’t get brought in on time and they die and wither in the fields. Agriculture will suffer from such short-sightedness. Prices will increase for products Americans consume. In my examples above, the companies that fed the growth of these two people are gone. There were no American young people who wanted to learn the processes of manufacturing those items so the companies were bought out or had to move out. Trump is aggressively banning the hiring of H1B visa students (except for his family’s vineyards). These visas are meant to bring the best and brightest from around the world to America where our companies can use their talents to create brilliant, jaw-dropping products that will be the future. The result? These bright students, often trained in engineering will stay in their own countries. The United States companies will still need their intellects so they will ‘farm out’ the work to the countries where the students are. The result? By sending our work to them, in their countries, the US not only loses the tax and the social benefits we will be developing the competition for our future. How smart are these policies? Trump is putting a tariff on solar panels manufactured in China. Tariffs only create bottlenecks and man-made hurdles. A company that makes these panels in China will be opening a plant in the United States to make panels to be sold here. The result? The panels will no doubt cost more than those made in China but will be of the same quality. Higher prices without an accompanying increase in value only create a higher priced product. Money from the sales will still go to China (only a minimum kept here to pay taxes) and this country will supply panels at higher prices without an increase in value until the first major ‘market correction’. Inefficient and illogical pricing will take a hit and the panels along with the company will be gone. Simplistic yes but these same lessons have been learned over and over again. Let’s go back to immigrants. One estimate says that 40% of Fortune 500 companies have been founded by immigrants or their children. Immigrants do not only go with the big companies, they are twice as likely as native-born Americans to start a small business. Since these entrepreneur’s companies generate approximately $65.5 billion in income (2014) why do we want to kick them out and stop more from coming in? These anti-immigrant actions are very short-term that will have long-term consequences for this country. The face of this country is changing so rapidly, that the consequences will not have had time to manifest themselves before the results strike. But look at what has happened in one year. The United States has gone from being the country most looked up to in the world to number 30, one step above China. If the United States is not the standard bearer for the rights of every person, other countries will follow our lead and start to lower their standards for what is fair, what is right, what is just. This erosion of rights in other countries has already begun. At the end of Obama’s presidency, 64% of the countries admired the United States. Now that number is 49%. Only 22% have confidence in Trump to do the right thing in international affairs. Additionally, all Trump’s gyrations are having a marked effect on our economy. David Reibstein marketing professor with the Wharton School studied the effects two years ago and found that the US was ranked as the fourth-best brand. He measured it again right after the election and the rank had fallen to number seven. We are now number eight in the world. So the ‘#Make America Great Again’ is another of Trump’s fiascos. People leaning towards Party X and those towards Party O have political values that are now 36% different from each other. The gap used to be 15% points. Faster and faster we are headed for a major division which will disrupt the fabric of what this country stands for and what it will accomplish in the future. In other words, this country was once the leader of the free world and will soon become no better than a third rate country. Why? Because we have stopped doing the actions, believing in the values that made us great. We are navel-gazing. We are more interested in making a buck than in making sure that the buck was made with honesty and integrity. Just this week, the Senate proved that they can not lead. They can’t get a sensible immigration bill passed. They can’t accommodate people that have lived here all their lives but now will go to a country that they know nothing about. The Supreme Court let Trump’s immigration ban stand temporarily but a Court of Appeals has again ruled that it is illegal. This ruling has to be held up until the Supreme Court finally rules. The combined worth of the Forbes 400 is $2.34 TRILLION and is more than the bottom 61 percent of the country or 194 million people. TWENTY PEOPLE now own as much wealth as HALF OF ALL AMERICANS. This is prior to the massive tax break. DO NOT MISUNDERSTAND ME! I am firmly a capitalist. Everyone is entitled to however much they can make legally, honestly and with integrity. We must also acknowledge that with ‘great gifts come great responsibilities’. The more you receive the more that is expected of you, is the Bible’s way of expressing it. Income has grown by leaps and bounds since 2007 thru 2017. As I was hemmed in by a gigantic camera during my last hospital stay, I came to a shuddering conclusion. Our ‘leaders’ gave $1.5 trillion of wealth to the already rich that didn’t need it. The corporations did need their gift because they were already doing well in the economy that existed. Now, what will be the result? What will happen when the wealth is used up? The money was not given to the wealth generators – to the working classes. Those are the people that build, that make, that consume, that start up the new businesses that drive the economy. One political party has a majority (54%) and who believe that a college education is detrimental to the well being of this country. One party believes that media criticism is not healthy even though it keeps political creatures from doing what they shouldn’t be doing. Just because the president disavows people of the Muslim faith is that going to stop that faith from increasing as a percentage of the population in the world? I think not. What then? We have mistreated them by forcibly removing them from our soil. What will be the future of how they view the United States and what will they teach their children? A very telling indicator of the future of the United States is that 75% of Americans think that robots and computers will do many of the jobs that humans now do. Yet only 30% believe that their jobs will be affected! A disconnect is at play here! I have written articles that spell out that 47% of the jobs in the United States will be lost to the Fourth Industrial Revolution (35% in Great Britain and 21% in Japan). Of course, many new jobs will be created and will be filled by the people that now undertake to improve and upgrade their education so that they can successfully compete for those jobs. Each year Georgia Tech in Atlanta GA graduates 3,400 highly skilled computer engineers, scientists, and technicians. In 2017 the University of Minnesota enrolled 1,137 students in its computer engineering and science programs. It awarded a total of 284 degrees in those two fields. Hmm, that is just 24.9% which means that 75% of the students that began studying in those fields drop out. Why? I guess it really doesn’t make much difference the reason. What it does is tell me that most students that enter that field of study decide to do something else. Students know what the future holds in the broad sense that robots and artificial intelligence will dominate the economy in a few years. Yet only 25% believe that they can be a winning partner in that economy? The field of mathematics has a 33% rate, statistics has a 68% rate. A dilemma that I can’t even hazard a guess. What does the future hold? Party O has people with high and low science knowledge. Regarding climate change, this party shows no significant difference in the opinion as to the cause of climate change. In Party X those with a high science knowledge say that 93% is due to human activity while those with a low science knowledge 49% say the same thing. Folks, how can this be? What does it mean? What if the party that sees no difference were in charge of this country? What would the results foreshadow? Could the general population trust them to make the best decisions regarding climate change? Does Social Security, Medicare, and Medicaid have a Future in the U.S.? Party O seems to still be on the crusade to kill Social Security, Medicare, and Medicaid. According to ‘The Hill’ published on February 13, 2018, two-thirds of seniors rely on Social Security for most of their income and one-third rely on it for all of their income. According to the authors, Nancy Altman and Linda Benesch, one party has been trying to destroy Social Security since it began. It seems that it just sticks in the craw of that party, even though they have thrown their deficit ending philosophy to the wind when they approved an increase of $300 billion last week to the budget and created their own shortfall of revenue by giving it to the wealthy in the $1.5 trillion dollar tax give away. How can they justify this to their own conscience let alone to their constituents? Or don’t they care? So much of this just roils my brain. I don’t understand where a person’s belief system can be so awry in itself. This party is trying to be sneaky about robbing the Social Security fund and shutting it down. They are going to offer young Americans relief from their crippling student debt if they agree to forfeit some of their future Social Security benefits. Fans of another proposal, Senator Marco Rubio, and Ivanka Trump to name two, are getting behind Kristin Shapiro and Andrew Biggs who proposed a similar plan to fund paid parental leave. They published their proposal in the Wall Street Journal op-ed section. The wealthy seem to want to take and take and take without contributing to the common good. This is the time of the widest wealth gap in US history. The point of this dissertation? How can the wealthy abdicate their moral compass to join in the welfare of the people and at the same time take so much wealth from the people who generate it? Surely they must see where this will lead. Ms. Boissoneault quotes Mike Duncan, the writer and podcast host of The History of Rome and Revolutions “most people have been jumping into the story of the Late Republic in the third act, without any real comprehension of what started to go wrong for the Romans in the 130’s and 120s B.C.” Mr. Duncan examines those issues in his new book, The Storm before the Storm: The Beginning of the End of the Roman Republic. Ms. Boissoneault interviews him to determine his findings as to what went wrong for the Republic after it conquered Carthage. Rome was wealthier that it had ever thought imaginable. The wealth of the conquest is being concentrated in the senatorial elite, the generals and they think it’s natural that it all accumulates in their hands. As we know, Rome did not fall overnight. But so many of the symptoms in our country appear to be cracks widening into crevices in our society. Wealth is concentrated in so few people. No attention being paid to the people that actually generate the wealth. We started out as a nation of farmers, the land was owned by the farmers. Now, who owns the land? Who owns the wealth? The farmers? Whatever becomes of small citizens? Do they just cease to exist? Where does the resentment go that has been building in our country? I will examine the growth of the populist movement in future posts, especially in the black populations of the south. But in the meantime think about where we are going. This is not new territory it is just new to us. History repeats itself. Have the wealthy forgotten that? I repeat every chance I get Mr. Lincoln advocated revolution. Say what? The founding father of the GOP, the Grand Old Party, espouse revolution when the government does not suit the will of the people? Yes, he did. Portrait of Lincoln. Founding Father of the GOP and revolutionary. Why do these people not think that a day of reckoning won’t come? The day of reckoning always comes. Some quickly, some later. If a Trump can be elected president and show how the country and its people can be despoiled the pendulum can just as easily swing the other way. It can serve as a backlash to the illegal and immoral acts of the current administration. Women have flexed their power this year in reaction to the vainglorious men who thought that indecency would not be punished. It will only take a slight breeze to keep the anger rolling into all corner of our lives. The Vietnam War proved that the 1% can have their way for a while but maybe the time is now for all the pain and sorrow of lost children, of lost sons, of lost daughters, brothers and sisters of that era to be channeled in with the new losses of sons and daughters ignored by the powerful. Could this be the time of paybacks? I can’t see into the future. I can only look at the past. When the pendulum swings too far in one direction it will always swing back in the other. Today on Facebook, anger was boiling about the losses of sons and daughters. Of powerful people that won’t even try to solve the problem. Of people extremely wary of any hint of losing their right to bear arms. Of mother’s, of teacher’s all longing for this extreme tragedy to end. A large part of our population sends their children to school. Yet the Senators, the Representatives, the President all perform according to their script. That script was proved fraudulent last week when they could not solve a years-old problem of immigration. That script was fraudulent after the massacre at Sandy Hook. That script was fraudulent at the Valentine Massacre of 2018. There is no leadership only the wind stirring useless rhetoric stirring needless flame. This has been a wide-ranging post taking in everything from immigrants to the 1% and their responsibility for living in this country to up to the minute current events. I can’t say there is even a main focus. Well, maybe there is. All people have a right to a fair chance in life. They cannot ethically be taken advantage of by the wealthy. That is what oligarchs do. And we are not Yet in an oligarchal society. We are quickly moving in the direction by there is still time to stop it. How can this society let people like Carrie Lukas of the Independent Women’s Forum, a leading proponent of the Shapiro-Biggs paid leave plan that I mentioned earlier, act on her opinions that say, “Americans think about Social Security, which has long been the third rail of politics and therefore too painful to touch”. But she plans on changing that “public opinion will undergo a sea change to embrace personal accounts or other substantial Social Security reforms.” In other words, get rid of Social Security and opt for individual savings plans. Plans which will swell the coffers of the banks and therefore add to the wealth of the 1%. Devious plans are afoot. Plans that seem to make sense on the surface until the lid is pried back and all of pandoras demons fly out. Someone has to stop them. Stop them before there is no United States left that was envisioned by Abraham Lincoln, Justice Brandeis, Franklin Roosevelt, and Hubert Humphrey. Instead, there will be a country in the likeness of Trump, Kelly, Nunes, McConnell, and Ryan. Only the wealthy need apply.